First post here so please be gentle! I've been an active member over at Fanedit for a few months. I'm currently producing my first ever fanedit project. 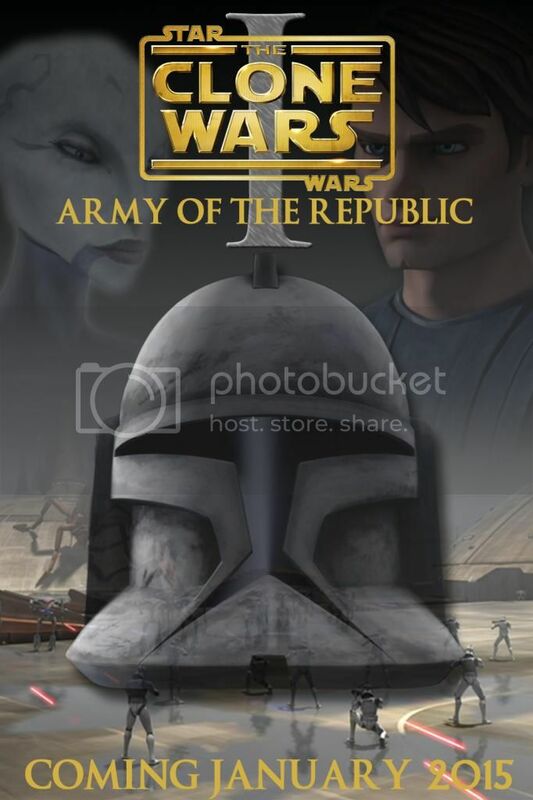 It's a fairly ambitious movie series based on the Clone Wars TV Series. My current plan is for 9 movies in total. 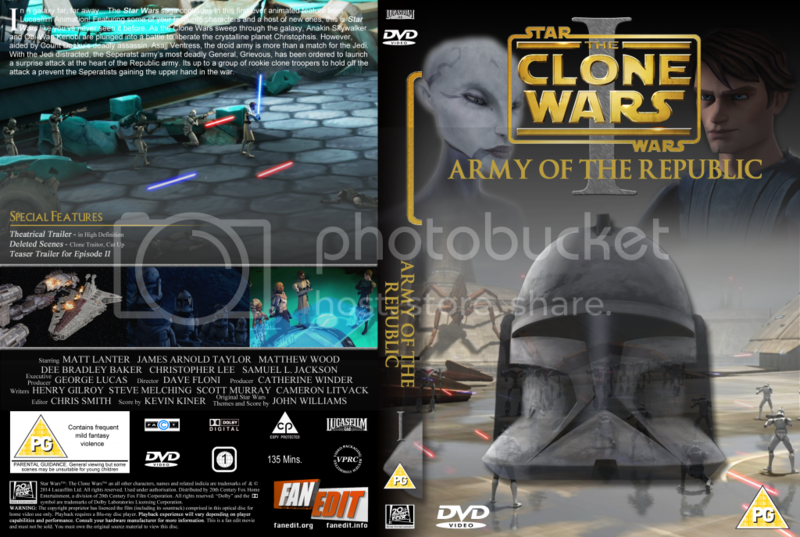 The idea is to make a version of The Clone Wars that removes all the childish moments like battle droid humour and "Sky Guy", produce a more progressive narrative that will give a great flow from Episode II to Episode III, and remove all of the filler (of which there is a lot). 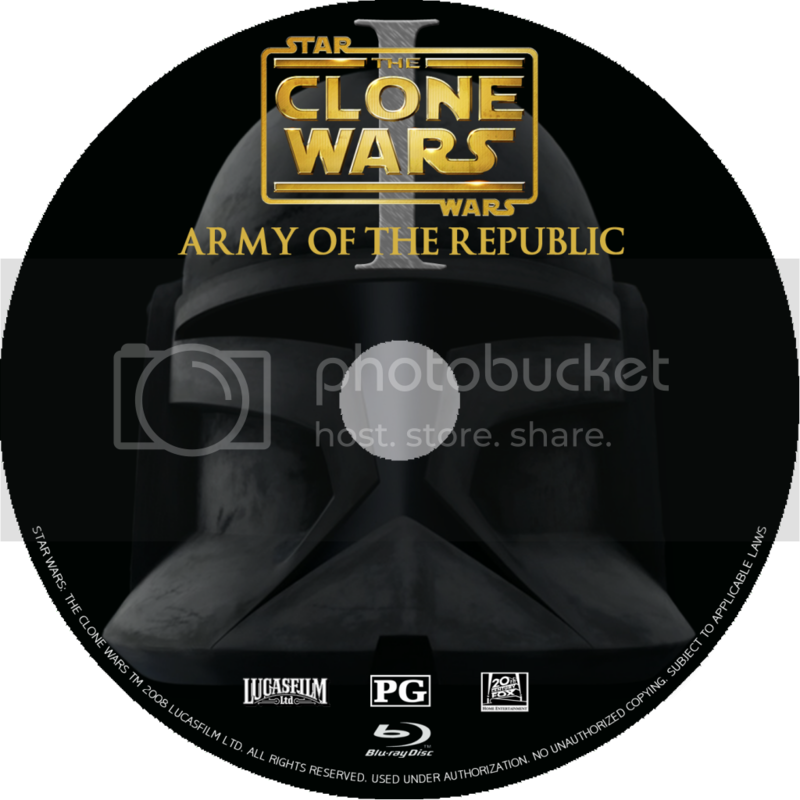 Current status is that Episode I is almost complete, episodes 2, 3 and 4 have had a second cut and episode V has had a first cut. 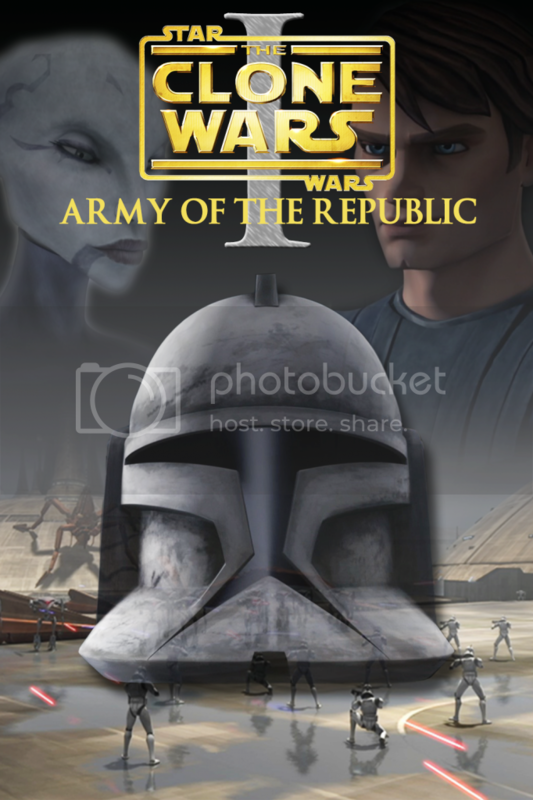 Episode I is based on the first part of the Movie (the Jabba's son storyline has been removed), the 2 movie prequels and the Clone Rookies Arc) probably the best Arc from the first few seasons, culminating in the Battle of Kamino as the climax. I was about to point out that smudger9 is already doing something like this, but I opened the thread and it was you. 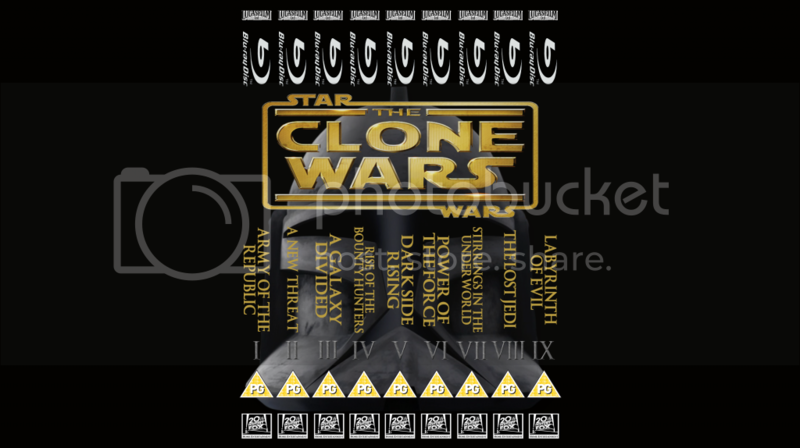 I took a short break from my Dune Messiah edit to make ... well ... essentially this for my brother's Christmas present, and I just finished it (the first movie) today. I was considering releasing it, but it's pretty damn similar to yours, so I doubt I will. 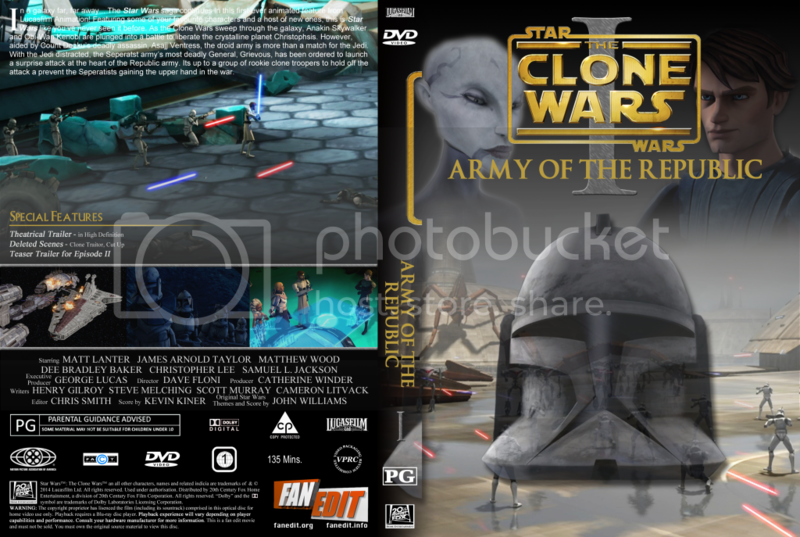 It's not exactly the same - I didn't use "Rookies" or "ARC Troopers," and I added in the Ryloth scenes from "Supply Lines" to set up my Part II (which will use the Ryloth arc as the backbone the way my first one used the Cristophsis arc).Glad to see I'm not the only one who thinks that a pretty great series of movies can be made out of the (surprisingly good) show! 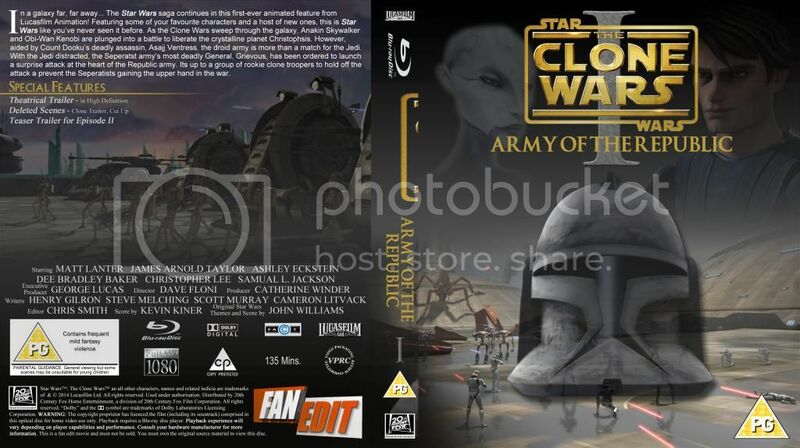 The UK Blu Ray Cover that is. The US doesn't have a PG triangle. Eh, makes it feel exotic. And bri-ish. The bri-ish -- they're that species of sentient sponges that were conquered by the Alpha Draconians and conscripted into their slave armies, aren't they? So, my episode 1 is almost complete. Pending a couple of reviews from fellow fan editors. This has given me time to work on Episode 2, which has now gone through a 3rd cut. Can't wait. No, really. Put it out. Please? I would Also use the Yellow/Gold color for the Description on the Back. The white is hard to see. The Cover is already downloaded. Cant wait to see this! Also, in the back description, on the last line after the word attack, it says "a" when it should say "and". Smudger Updated Fanedit.org today saying he finished his final cut, was doing a watchthrough, and submitting it there. Hopefully that means that it is being uploaded as we speak. Yep, had some rendering issues so didn't manage to do my watch through until today. I have some minor tweaks to make and then it will be submitted. In the meantime here are the banner art and disc art. 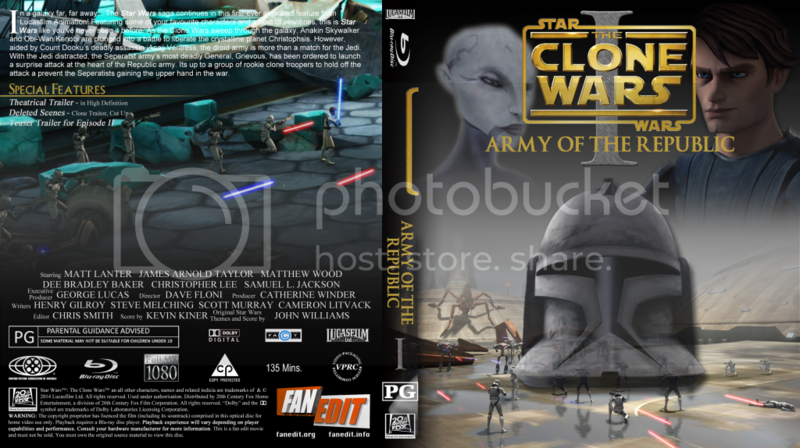 Episode 1 has just been submitted to fanedit.org for review. Those trailers are fantastic! Can't wait to check it out! I was considering releasing it, but it's pretty damn similar to yours, so I doubt I will. I hope you decide to release yours as well, it'd be fascinating to compare the different directions two editors take with the same material! If I do, I'll most likely wait until I have the entire series done. That way if I need to go back and move some stuff around between movies, or add some stuff I'd cut the first go-round, I won't have to release updated versions. So... umm... where can I watch this? I want to. Right now.